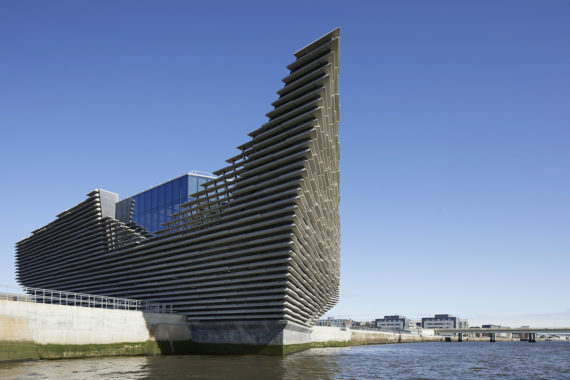 The Japanese architect Kengo Kuma says his spectacular design for the new V&A Dundee was inspired by the cliffs of north east Scotland. But while the influence of the local landscape is clear in its rugged, striated exterior the building itself is pure sci-fi, perched on the edge of the River Tay like an alien spaceship about to touch down. Not that there’s anything gimmicky about it. This is a serious piece of architecture that manages to stir some of the feelings of wonder that the preposterous curves and titanium shine of Frank Gehry’s Guggenheim Bilbao did when it opened nearly 21 years ago. The fanfare and regeneration expectations embodied in this first outpost of the V&A outside London are similar to Bilbao in 1997, too. The city has seen better days and V&A Dundee is part of a much wider £1billion transformation of Dundee’s former docks. Big money is involved: the Scottish government gave £38 million towards its total cost of £80.11 million, with other funding including £19 million from the National Lottery, £5 million from the UK government, and £15 million raised from private sources. 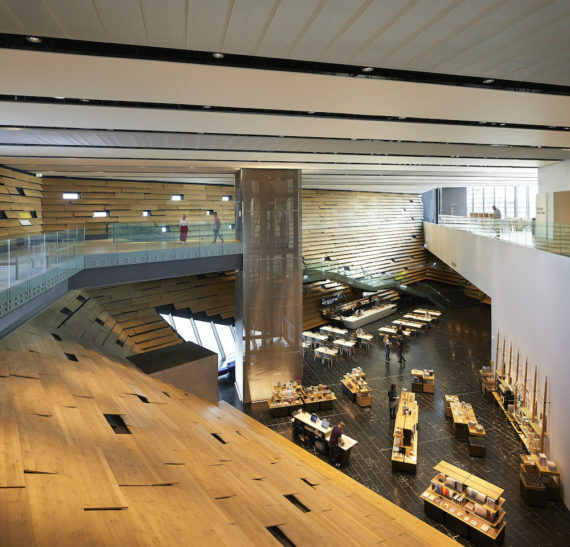 Kuma states that he conceived the museum as ‘a living room for the city’ and on entering the building and emerging into its large and welcoming atrium space it’s clear that there’s substance behind this snappy soundbite. In scale and tone it is actually quite a modest building, despite its visual impact. Crucially, though, it’s a building that feels functional and fitting for a free-to-enter national museum with aspirations to be a new civic space for the city. 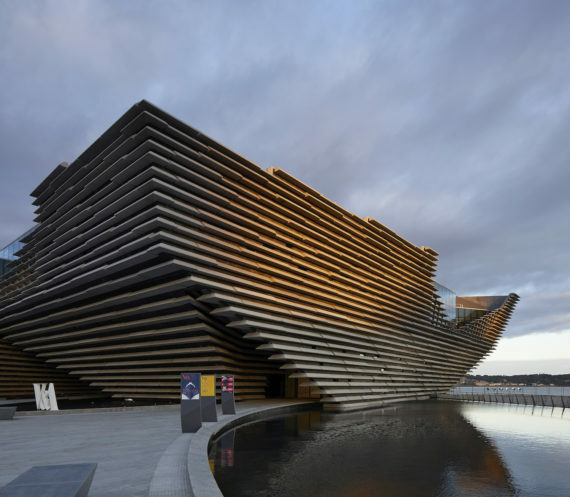 It will be a great place to visit and visit again, with the potential to become part of the Dundee’s everyday fabric rather than just an expensive piece of museum bling to anchor further development. 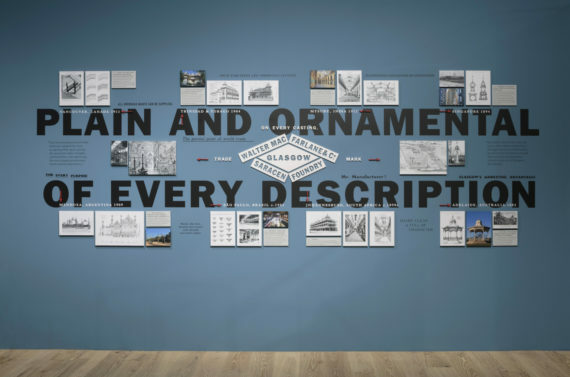 Of its 8,445 square metres of floor area, 1,100 square metres are taken up by its main exhibition spaces on the first floor: the temporary exhibition galleries currently showing ‘Ocean Liners: Speed and Style’ (until 24 February 2019), and the permanent Scottish Design Galleries. 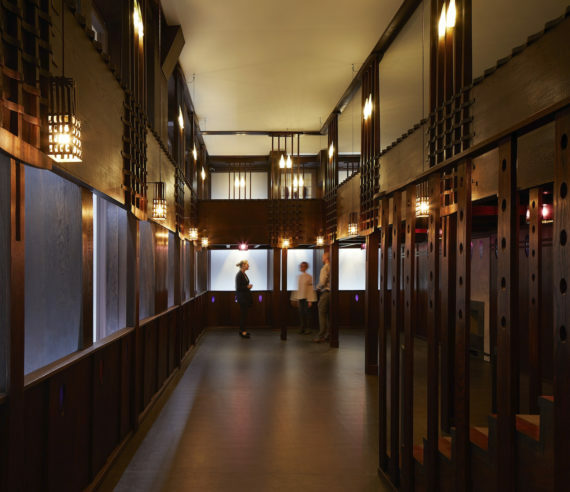 Exhibitions-wise the latter forms the heart of ‘Scotland’s first design museum’ and includes at its centre Charles Rennie Mackintosh’s restored and reassembled Oak Room, originally designed for Miss Cranston’s Ingram Street Tearooms in Glasgow. Perhaps inevitably, and despite the quality of the exhibits, the tightly packed, dimly-lit galleries feel a little flat after the light-touch drama of the main public spaces. 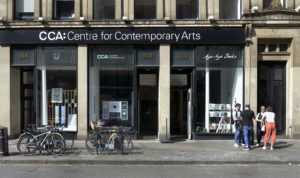 They are solidly, competently curated but can’t match the innovation of the building itself, despite interesting ideas such as commissioning artists and designers to respond to the themes of the Scottish Design Galleries. The inaugural example of this is a display by Glasgow-based designer Maeve Redmond who has worked with a 19th century trade catalogue by cast iron manufacturers Walter MacFarlane & Co.
There’s another new commission responding to objects in the V&A’s Scottish design collection in the main exhibition foyer on the first floor. This, looped by Glasgow-based artist Ciara Phillips is a 15-metre-long digital print which incorporates glazed earthenware and is inspired by objects such as ceramic colour charts and fabric swatches – items that facilitate the trial and error process of creative work. 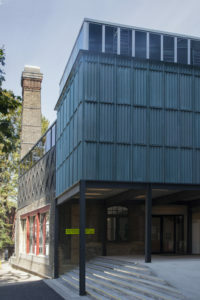 Other spaces at the new V&A Dundee include a residency studio, learning studios and the Michelin Design Gallery in the exhibition foyer. And of course there’s the usual shop, cafe and restaurant configuration across the two floors. Nothing particularly innovative about that, but clearly these are vital elements for any museum with ambitions to become a space for living as well as looking. 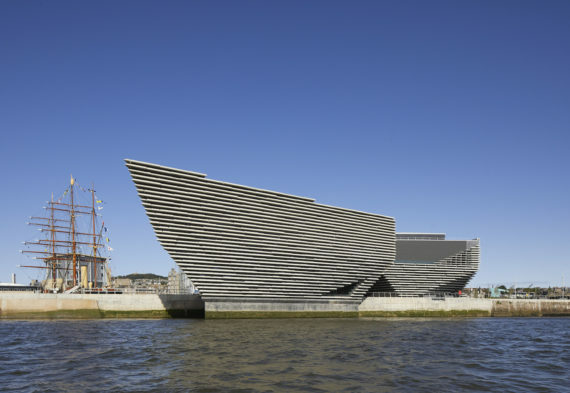 V&A Dundee opens to the public on Saturday 15 September 2018. The first weekend is ticket only due to demand and tickets are now sold out. 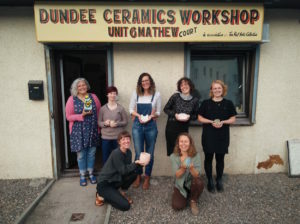 More on a-n’s Instagram: Catch up with Chris Sharratt’s posts from his V&A Dundee visit.